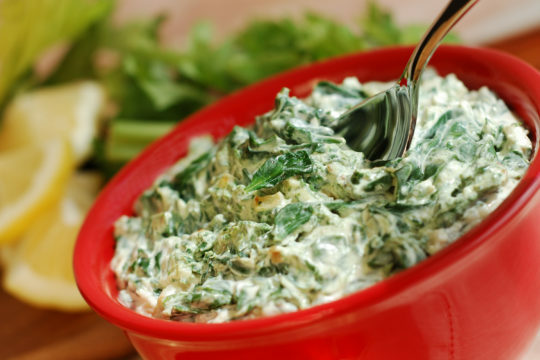 Mary Clarkin CNP, Certified Nurse Practitioner at Cleveland Clinic, shares her amazing Artichoke Dip. Her secret ingredient is fried onions! Mix ingredients together and add to an oven-safe dish.